Here at Fort Collins Foreign Car Service, we offer foreign car auto repair in Fort Collins (shocker, right?). Our job is to make dealing with car maintenance and repairs easier for you, and that is exactly what we strive for with our commitment to quality service. We want you to be able to enjoy your car like it was meant to be. 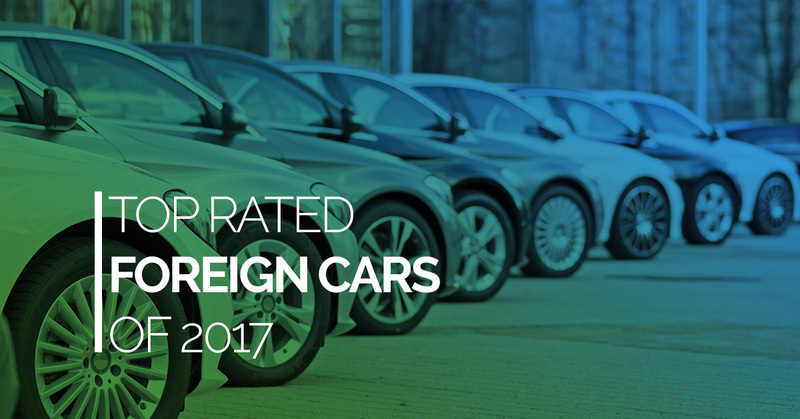 For those of you who are shopping for new cars, here are some of the top rated foreign cars of this year. Named Kelley Blue Book’s “Overall Best Buy” this year, the 2017 Honda Civic is a great all around small car. Earning extremely high grades in objective standards like resale value and price point, it may very well be one of the best cars around for the price. Notable features include a powerful and well performing Turbo engine (especially the Type R), tight handling, storage space, and gas quality. A couple marks against it include a hard to understand Display Audio system and an engine drone when accelerating. It comes as a sedan, hatchback, or coupe. A great family car, the Accord is known for dependability (like all Honda vehicles). Another low price point car with a high resale value, drivers love the Accord for its smooth ride, as well as for having the one of the best fuel economies in its class. With lots of seat room, a great looking interior, and high tech safety features, it really is a comfortable ride. A couple marks against it include touch sensitive controls and less luxury options than normal. A luxury car, the Audi A4 actually has a comparatively low price point for the genre. It has both luxury and sports features, a powerful and efficient engine, and great handling. A modern interior will have you riding in style. The biggest mark against it is its costly safety features. There are also plenty of technology features for you to enjoy, including both Apple Car Play and Android Auto. Known for being one of the more exciting foreign cars to drive, the Boxster got a complete redesign in 2017. Better fuel economy puts it at 25 miles per gallon in the city and 33 driving on the highway. An extremely responsive dual-clutch automatic transmission will make this car feel like an extension of your hand. It goes from 0-60 miles per hour in 4.4 seconds flat and to 100 in 10.6 seconds. There are a host of optional features you can add to make your 718 Boxster the envy of the neighborhood. The Prius brand has become synonymous with gas/hybrid cars in general. The new model, the Prius Prime, comes with a much more distinctive, and less dull body style. Electric/gas hybrids have an equivalent system to gas mileage (MPGe), and this Prime clocks in at a whopping 133 miles MPGe. That is the highest of any other car currently on the market. This hybrid can even get up to about 25 miles just from an electric charge. It has among the best steering of any car on the market, including gas vehicles, and comes with a standard 11.6″ touch screen entertainment system. Completely redone for 2017, the Kia Sportage has a sleek new body design. One of the best features of this vehicle is its ample space, perfect families. Front and all wheel drive options are available. Reviewers loved the turbocharge engine performance, huge moon roof, ergonomic center console design, and accurate steering. Its major marks against it were a slightly slow acceleration in the all wheel drive models, lack of adaptive cruise control, and lack of collision avoidance options. It does come with both Apple Car Play and Android Auto. We hope you enjoyed this list of 2017 foreign cars, there is nothing more fun than a car hunt. If you have any type of foreign vehicle, and are looking for auto repair or maintenance in Fort Collins, we are the shop to visit. Finding a mechanic you can trust is hard, we know that; that is why we only ask that you try us out once, and let us prove the quality of our services to you. If you have any questions about our shop or services, please do not hesitate to give us a call. Feel free to drop by our shop and see our work first hand as well.